It was another scorching hot weekend here in San Diego and I'm literally wearing all of my dresses out! This weekend I had multiple events per day and as I was changing for each one I noticed that comfy dresses were the way to go to look cute and stay cool. 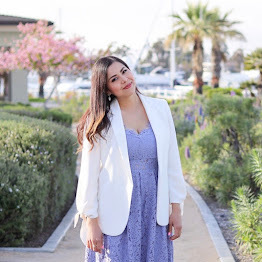 I may be all about the little black dress, little white dress, but it was good to freshen up the rotation with this little denim dress from Chicwish. I love the embroidery detail with the tasseled strings for a resort-ish feel. What do you find yourself wearing most this Summer? Dresses are the way to go with this crazy heat!! I'm loving this LLD! ❤️ Looking fab Pau! you look super adorable in this dress honey!